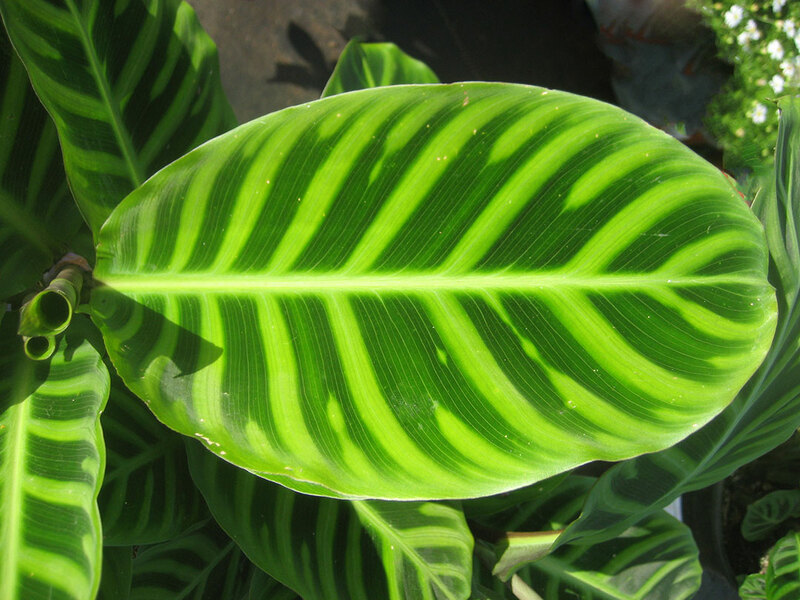 2-3′ Zebrina is a clumping perennial with fabulous oblong leaves that are colored a rich velvety dark green with bright green mid ribs. Calathea enjoy moist soil and partial to full shade; they tend to burn up in sunny drier areas. 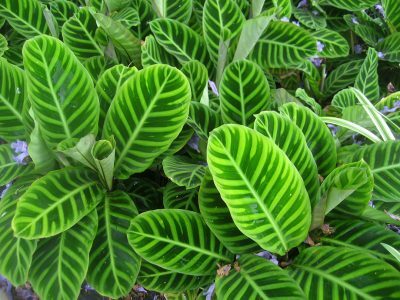 These plants give a real tropical touch to the garden. The curious purple flowers form near the crown of the plant.